Everywhere you turn, you hear about the benefits of intermittent fasting (IF) such as weight loss (especially for stubborn belly fat), more energy, improved digestion, decreased sugar cravings, disease prevention (such as diabetes), and better sleep. There are so many ways to fit intermittent fasting into your life, there’s bound to be one that’s right for you. Of course, before starting any new diet plan, including intermittent fasting, be sure to check in with your doctor first. Once you get the OK, doing 14:10 is a great place to start, where you fast daily for 14 hours and have a 10-hour eating window. If you’re ready to do longer fasts, the 16:8 protocol is the perfect next step. It extends your fasting window by two hours; for example: eating from noon until 8 p.m. If you find that you eat dinner earlier, you might be interested in trying 18:6. 18:6 involves fasting for 18 hours out of the day, leaving you with a six-hour eating window. This could mean eating lunch at 12:30 p.m., a snack at 3 p.m., then finishing dinner by 6:30 p.m.. This is a much more rigid form of intermittent fasting and definitely best saved for experienced fasters who’ve tried other methods. This plan might be right for you if your weight loss has stalled doing 16:8 or if you tend to overeat with a longer eating window. This is different than the typical method of weight loss suggested by most experts that says to restrict calories. Dr. Fung said if you reduce your calories from 2,000 to 1,500 (to create a 500-calorie deficit), the body is forced to reduce its metabolism to only 1,500 calories. The lower metabolism makes you feel cold, tired, and hungry, and weight loss eventually plateaus and you’ll need to eat less to lose weight, which is not sustainable. This is why Dr. Fung said calorie-restriction diets fail, which was also proven in the weight-loss TV show The Biggest Loser. Dr. Fung works with overweight patients with diabetes, and fasting is what has helped them lose weight, reverse their diabetes, and get off medication. He said weight loss is all about insulin levels. “If insulin is low, then the body can get its energy from fat stores.” People who fast actually find that hunger decreases, which is why IF can help people who have issues overeating. When doing any form of daily intermittent fasting, you aim to eat your daily calories, just in a shorter eating window. Without much disruption into your daily schedule, you basically skip breakfast and then have your dinner on the earlier side so it’s easy to maintain every day. 18:6 is also a great method if you tend to go to bed earlier so you’re not hitting the sheets with a full stomach. If you tend to snack after dinner, having an early cutoff time can help curb that. 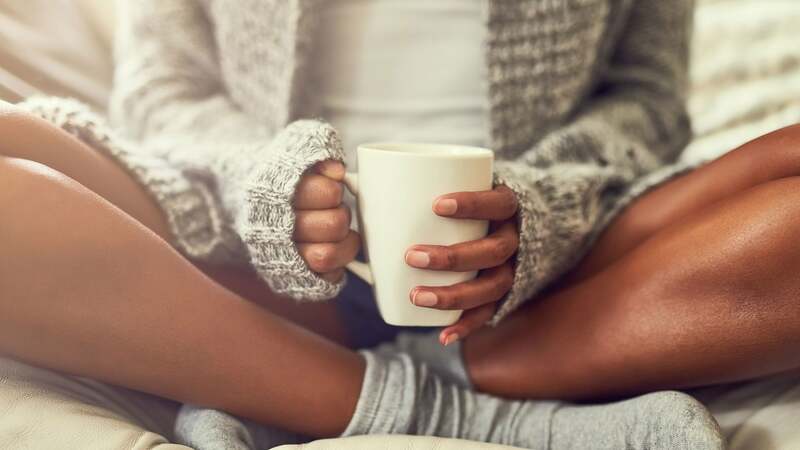 You can just start a new habit where you curl up on the couch with a hot cup of herbal tea. This plan is also flexible. If you prefer eating a later lunch, you can shift your eating window (2 p.m. to 8 p.m.) or shift it earlier (10 a.m. until 4 p.m.). Since you’re consuming all your daily calories within a shorter window, another pro is that you can sit down and eat larger meals and feel more satiated than if you were eating three to six small meals throughout the day. You have more leniency with the foods you eat as well, so you can choose higher-calorie or higher-carb foods you may have denied yourself before. And even if you skip breakfast, you can still eat the breakfast foods you love; you’ll just be delaying your meal until later in the day. Once you get past the first week or two of fasting, you won’t even feel hungry, and you’ll wonder why you were eating breakfast all these years. You’ll save money and time buying and preparing food and be able to devote your brainpower to other areas of your life. You’ll feel less bloated, more clear-headed, and lighter in mind and body. For those who are used to eating all day long, limiting your meals and snacks to a six-hour window may seem impossible. It can also be tough if you have to consume a ton of daily calories as you might find it hard to eat as many as you need without feeling stuffed. If you’re going from 16:8, it’ll take a week or so to get used to cutting your eating window by two hours. Also, if you don’t make a point to eat enough calories or eat enough protein and healthy fats, 18:6 may cause you to feel hungry or tired. Any form of intermittent fasting, especially 18:6, since it’s so strict, could potentially be a trigger for unhealthy behaviors for those with a history of eating disorders. Lisa Eberly Mastela, MPH, RD, told POPSUGAR that any form of IF should be done under the supervision of a registered dietitian, and any diet that encourages a restrictive eating schedule really should be approached with caution from the start. You might be fine doing a less rigid form of intermittent fasting, such as 16:8, but if you have any doubts, it’s best to talk to a doctor, dietitian, or therapist. Intermittent fasting shouldn’t negatively affect your life. Like any new way of eating, there is an adjustment period. The best advice is to not dive right into 18:6 if you’ve never fasted before. Start with a 12-hour fasting window, then gradually work your way up to 14 hours, then 16 hours. Drink black coffee, tea, carbonated water, and plain water to fill you up during your fasting window, and be sure to get at least seven hours of sleep a night to prevent cravings caused by fatigue. Remember that just because you’re only eating six hours out of the day doesn’t give you the green light to eat as much as you want during your feeding window. Choose healthy, nutrient-dense, whole foods. Eat until you’re satiated but not stuffed, and focus on getting protein, healthy fats, complex carbs, and plenty of fiber. Using an intermittent fasting app might be helpful to track your daily progress and inspire you to stick with it. But always remember the cardinal rule about fasting: if you don’t feel well, end the fast and try again the next day.